ARF is a no-kill, all-volunteer rescue center in Beacon, NY. They house and care for cats and dogs in need of a second chance or more time to find just the right home. Learn more at Animal Rescue Foundation. Arunachala Animal Sanctuary and Rescue Center helps to reduce the stray dog population in Tiruvannamalai and treats sick and injured animals of all kinds. They love them, too. They believe that unless animals feel safe, cared for, and loved, deep healing will not take place. For the animals that stay with them for a brief time or for a long time, it 's the most important gift they give. Learn more at Arunachala Animal Sanctuary and Rescue Center. 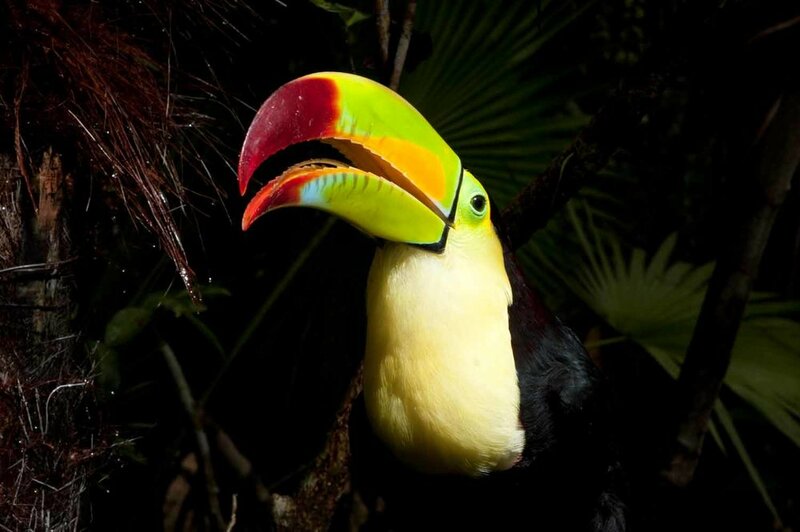 The Belize Zoo was started in 1983, as a last ditch effort to provide a home for a collection of wild animals which had been used in making documentary films about tropical forests. Shortly after the backyard "zoo" began, it was quickly realized that its Belizean visitors were unfamiliar with the different species of wildlife which shared their country. This very aspect fomented the commitment to develop the little zoo into a dynamic wildlife education center. Today, The Belize Zoo and Tropical Education Center exhibits over 175 animals, representing over 45 native species. 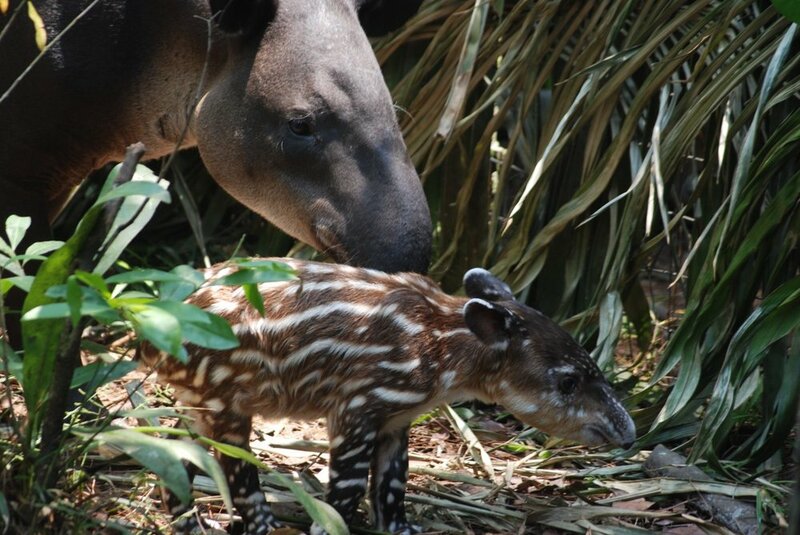 The Zoo keeps animals which were orphaned, rescued, born at the zoo, rehabilitated animals, or sent to The Belize Zoo as donations from other zoological institutions. Learn more at http://www.belizezoo.org. The Center for Conservation and Research conducts scientific research to provide information necessary for better environmental conservation and management. The human elephant conflict (HEC) is the primary issue for elephant conservation in Sri Lanka, and over much of Asia. Rapidly expanding human populations convert ever greater extents of land for development and agriculture, increasing the interaction between people and elephants, leading to a high level of HEC. Learn more about how CCR helps at Center for Conservation and Research. DSWT’s conservation activities include the Orphans’ Project, which has been highly successful in elephant and rhino rescue and rehabilitation. The Orphans’ Project offers hope for the future of Kenya’s threatened elephant and rhino populations as they struggle against poaching and loss of habitat due to human population pressures and conflict, deforestation and drought. Learn more at https://www.sheldrickwildlifetrust.org. The Dyer Island Conservation Trust has been established for the conservation, rehabilitation and protection of the natural environment, including flora, fauna or the biosphere, the care of wild animals, the promotion of, and the conducting of educational and training programs relating to environmental awareness, greening and clean-up projects, and conservation research. Learn more at https://www.dict.org.za. Elephant Care International is dedicated to the health, welfare, and conservation of elephants and the sharing of information among elephant professionals. Learn more about them at http://elephantcare.org. Elephant Livelihood Initiative Environment (E.L.I.E.) is a registered local non-government organization based in Mondulkiri, Cambodia. ELIE’s aim is to improve the health and welfare of the captive elephants in Mondulkiri Province, work to conserve the wild elephants natural habitat and to support the local people who work with these magnificent creatures. Learn more at http://www.elephantvalleyproject.org. Elephant Nature Park is an elephant rescue and rehabilitation center in Northern Thailand where volunteers and visitors can help. ENP has have been involved in hundreds of rescues which have created their thriving elephant herd. The park provides a natural environment for elephants, dogs, cats, buffaloes and many other animals under their care. Learn more at Elephant Nature Park. Lola ya Bonobo is the world’s only organization to provide lifetime care to bonobos orphaned by the illegal trade in endangered wildlife. They are on the front line in the battle to protect bonobos in the only country they are found – The Democratic Republic of Congo. Learn more at Lola ya Bonobo. In the UK, Shetland’s only wildlife sanctuary has been caring for sick, injured and abandoned seals and otters for the past 30 years, successfully rehabilitating and releasing hundreds of creatures back into the wild. They also help coordinate the rescue of stranded whales, dolphins and porpoises around Shetland’s 1,700 mile long coastline. Learn more at Hillswick Wildlife Sanctuary. IDA Africa provides sanctuary for chimpanzee orphans in Cameroon while spearheading and supporting habitat protection, law enforcement and conservation education programs. Learn more about their important work at IDA-/Africa. The Lukuru Foundation supports great ape-conservation field projects within forest habitat of the République Démocratique du Congo (RDC). The Foundation's objectives encompass the scientific study, documentation, and preservation of targeted great ape populations, as well as sympatric species of conservation concern and/or scientific importance. Learn more at Lukuru Foundation. The Limbe Wildlife Centre (LWC) is a conservation education centre in Limbe, Cameroon. Their goals are to rescue, rehabilitate and release wildlife rescued from the illegal bush meat and pet trades; ensure high quality animal husbandry standards and veterinary care for all animals; and help secure the long term survival of threatened and endangered species native to Cameroon through conservation education and alternative employment programmes for the local community. Learn more at Limbe Wildlife Centre. The Pan African Sanctuary Alliance (PASA) is the largest association of wildlife centers in Africa. Our 23 member organizations in 13 countries secure a future for Africa’s primates and their habitat. The combination of PASA’s global network and our members’ local expertise uniquely positions the Alliance to protect chimpanzees, gorillas, bonobos, and monkeys from extinction. Learn more at PASA - Pan African Sanctuary Alliance. The Project to End Great Ape Slavery aims to understand and document the sinister trafficking in great apes, map trade routes and identify individuals involved, and use information gathered from project activities to lobby for effective law enforcement. Where opportunities exist to repatriate illegally exported chimpanzees to Africa, the project works with Ol Pejeta Conservancy’s Sweetwaters Chimpanzee Sanctuary and the Pan African Sanctuary Alliance (PASA) to achieve this. Learn more at Project to End Great Ape Slavery (PEGAS). In areas of Thailand, sick and injured animals roam the streets and breeding goes mostly unchecked, especially in rural regions. Many of the animals here have terrible skin infections, gaping wounds, fleas and ticks, bone fractures, and more. Pete's Mission works with the local community in Pai (which is in northern Thailand) to provide health care, sanctuary, and rehabilitation to the street animals of Pai. No sick or injured animal is turned away. Learn more at Pete's Mission. Located in Guinea, West Africa, within the Haut Niger National Park, the Chimpanzee Conservation Center (CCC) is a sanctuary established in 1997 to address increasing declines in chimpanzee populations due to the pet trade. Its goals are to rescue orphaned chimpanzees confiscated by the Guinean government, and provide the best living conditions; release chimpanzees, when possible, to the wild after rehabilitation; educate the local and international community regarding the threats faced by wild chimpanzee populations and raise awareness to prevent illegal wildlife trafficking. Learn more at Project Primates. 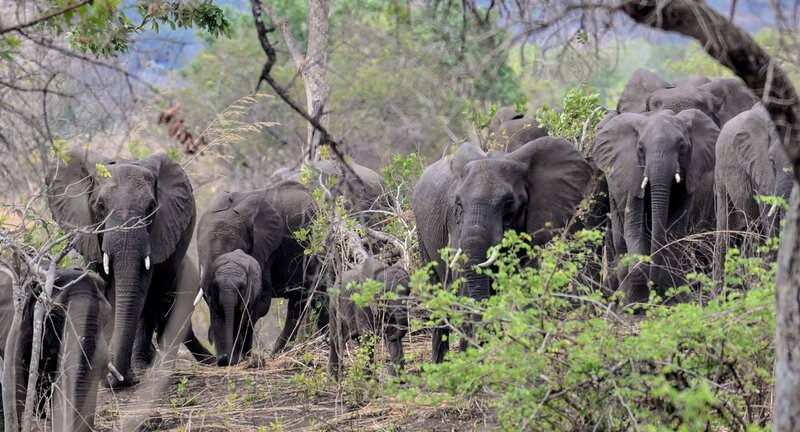 Save the Elephants (STE) works to secure a future for elephants in a rapidly changing world. To battle the current surge in ivory poaching, the STE/WCN Elephant Crisis Fund is identifying and supporting the most effective global partners to stop poaching, thwart traffickers and end demand for ivory. Leaders in elephant science, STE also provides cutting-edge scientific insights into elephant behavior, intelligence, and long-distance movement and applies them to the long-term challenges of elephant conservation. Learn more at Save the Elephants. Ensuring snow leopard survival and conserving mountain landscapes by expanding environmental awareness and sharing innovative practices through community stewardship and partnerships. Learn more at Snow Leopard Conservancy. The Surin Project is a cooperative effort between Save Elephant Foundation and the Surin Provincial Administrative Organization. The goal of the project is to develop responsible and sustainably managed elephant tourism as an alternative to abusive forms of tourism such as elephant street begging, circuses, and elephant riding. Learn more at The Surin Project. Virunga National Park is a UNESCO World Heritage Site in the eastern Democratic Republic of Congo. It is Africa’s oldest national park and is also the continent’s most biologically diverse protected area. The park’s 7800 square kilometers (3000 square miles) includes forests, savannas, lava plains, swamps, erosion valleys, active volcanoes, and the glaciated peaks of the Rwenzori mountains. 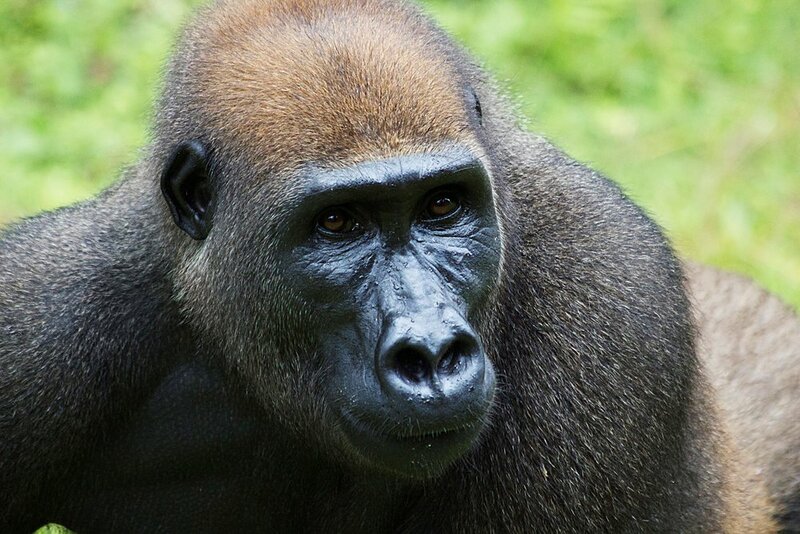 Virunga is also home to about a quarter of the world’s critically endangered mountain gorillas. Learn more at Virunga National Park. WAG is a grassroots NGO co-managing two governmental protected forest reserves in Central Malawi. Their work involves activities to stop illegal poaching of African wildlife (elephants, antelopes, monkeys, leopards) and stop deforestation of the forest reserves; protect and conserve an important biodiversity hotspot in Malawi for animals, birds, insects, plants and trees; and work holistically with local communities to help protect and conserve the forest and wildlife through education, wildlife law enforcement and income generating activities. Learn more at Wildlife Action Group. Wildlife Alliance provides on-the-ground protection to one of the last unfragmented rainforests in Southeast Asia. The Cardamom Rainforest Landscape is a critical part of the Indo-Burma Biodiversity Hotspot which supports populations of >50 IUCN Threatened species of vertebrates and serves as the region’s most important watershed, climate regulator and carbon sink. Learn more at Wildlife Alliance. Founded by Diane Delano in 2000, Wild Horse Rescue Center (WHRC) is a nonprofit organization dedicated to the welfare, rescue, and preservation of America’s wild horses – the mustangs. 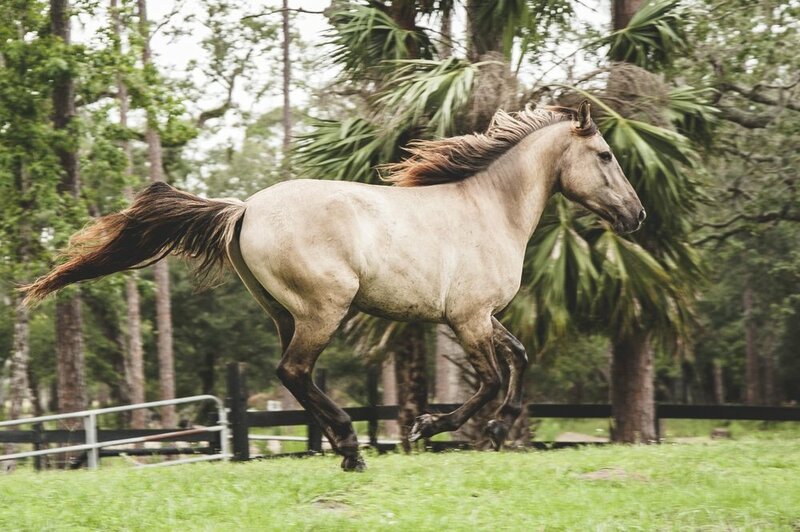 WHRC receives mustangs who have been taken from the wild and have ended up in neglectful or abusive situations. WHRC rehabilitates these wild horses so they have the chance to get adopted into good homes and have a dignified life after being taken from the wild. Learn more at Wild Horse Rescue Center.